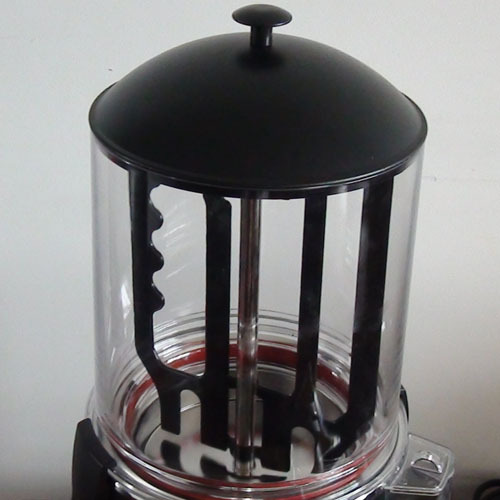 The Black Chocolady Hot Chocolate Dispenser Hold 10l products at one time,Large capcity blow can removal and easy for clean. The paddle inner bowl can mix thick hot chocolate, the base hold a water tank, you can pour water into at side of base to Max level. (do not add water into bowl when you make thick hot chocolate drink), You also can easy to set a temperature that you want for hot beverage drink. How to choice a hot chocolate capacity read Here? 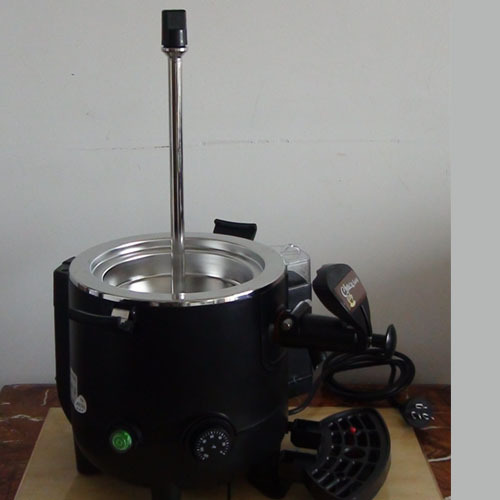 Food-grade high density PC powl, remove and clean easily. I ordered a Chocolady last October and after 6 months usage, parts of it broke down. Can you supply us with parts so we can fix it? machine Parts are ready and send you email, please confirm back to us. so that we can arrange ship. Do you have a triple (three) canister hot chocolate dispenser held together in one base steel plate?